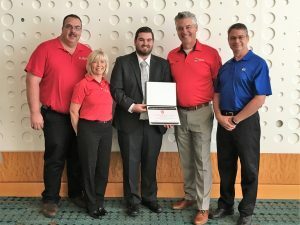 Nashville, TN, October 19, 2017 – The Fire Apparatus Manufacturers’ Association (FAMA) awarded its 2017 Phillip L. Turner Fire Protection Scholarship to Oklahoma State University student Brett Seggerman during the Opening Ceremonies of Firehouse Expo. 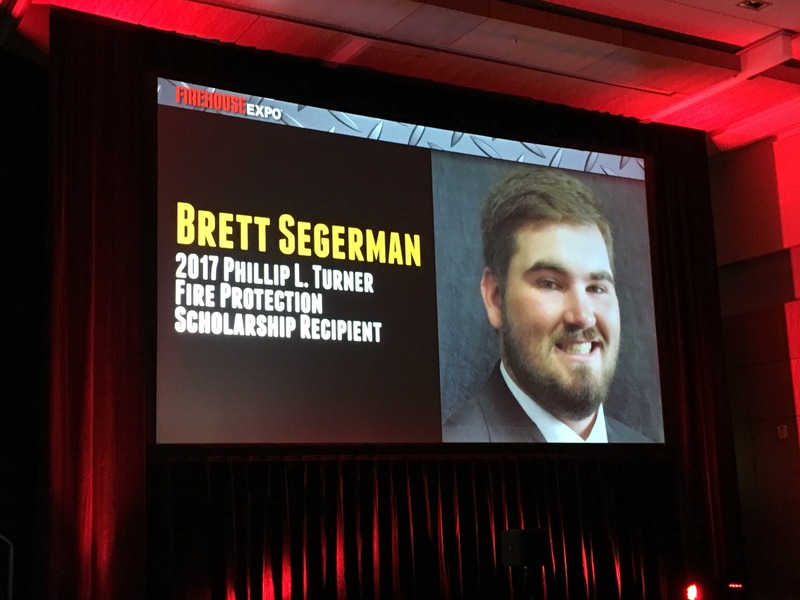 Seggerman was selected to receive the $5,000 scholarship in recognition of his outstanding achievements and dedication to the protection of life-safety. Brett’s life focus is on helping others. During high school Brett accumulated over 500 hours of community service hours, plus many more during college. While Brett maintains a strong G.P.A., he is very involved in student organizations. 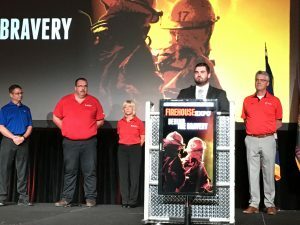 Brett is an active member of the American Society of Safety Engineers, Student Association of Fire Investigators, and Society of Fire Protections Engineers. He also has served as the College of Engineering, Architecture, and Technology Student Council Representative for both SAFI and SFPE. Recently, Brett was elected Treasurer of the SFPE; in this role he will manage the organization’s finances for their events. 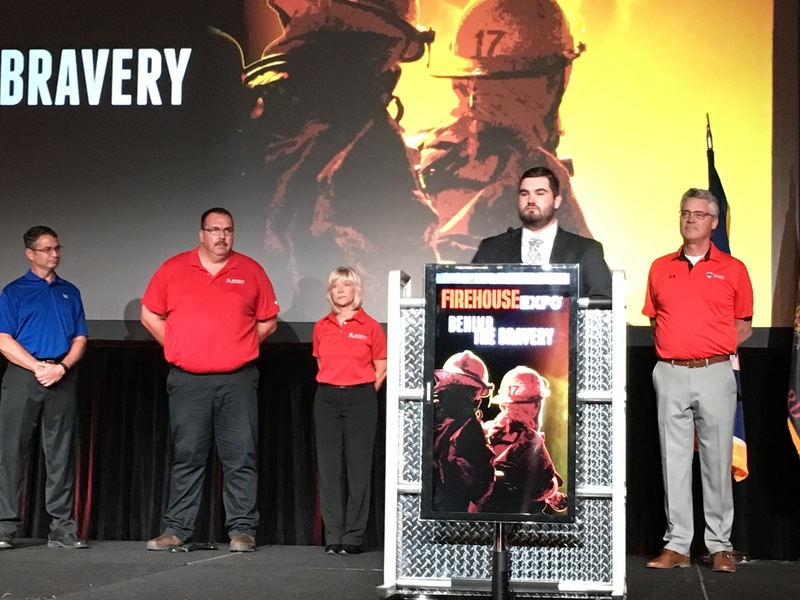 Driven and goal oriented, Brett plans to become the best Fire Protection Engineer he can be. He plans to pass the FE (Fundamentals of Engineering) exam soon and graduate with a Bachelor’s degree in Fire Protection & Safety Engineering Technology in May 2018. Brett looks forward to a career in Fire Protection Engineering and is currently contemplating pursuing a Master’s degree. 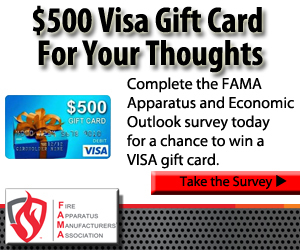 During the application process, FAMA received five letters of recommendation on Brett’s behalf. 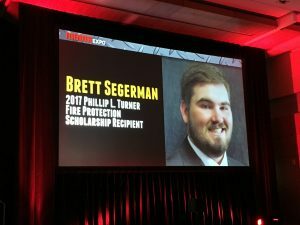 His professors consistently spoke very highly of Brett’s academic record, leadership and professionalism, and community involvement. 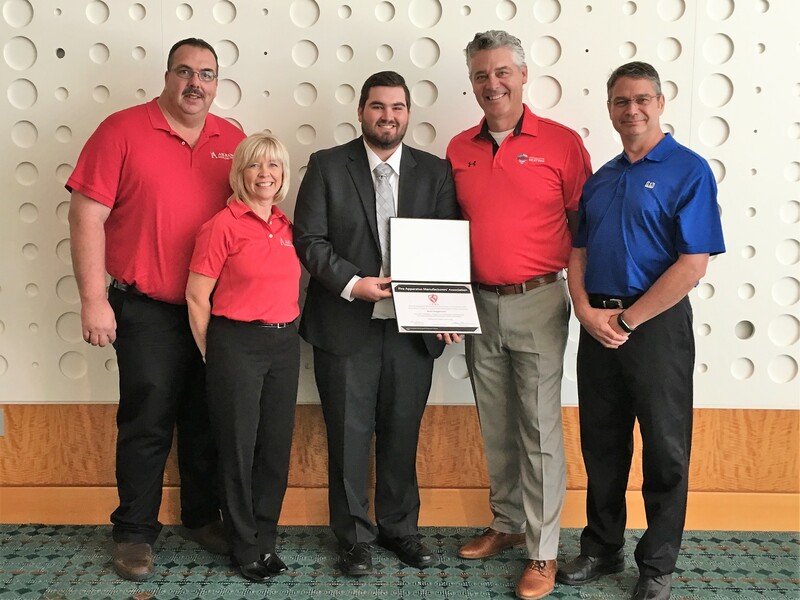 The Phillip L. Turner Scholarship is awarded annually by FAMA, and has been sponsored since 2009 by FAMA member Akron Brass Co., a worldwide marketer and manufacturer of high performance life safety, firefighting and emergency rescue equipment. “At Akron Brass, we believe that education and training are key factors to the success of individuals both professionally and personally. Obtaining an education can be a challenge for young individuals but with scholarships like these it makes goals become reality. Towards this end, Akron Brass is honored to sponsor the Philip L Turner scholarship program,” stated Kim Morrow, Director of Marketing. On behalf of FAMA, we wish Brett much success in his future endeavors. 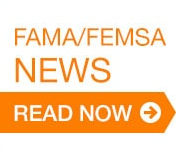 The Fire Apparatus Manufacturers’ Association (FAMA) is a non-profit trade association organized in 1946. 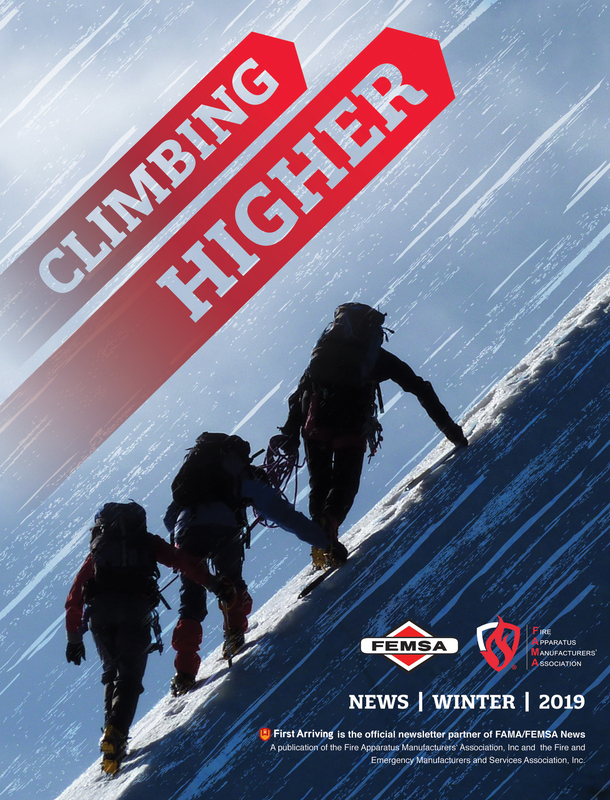 Members of FAMA are committed to enhancing the quality of the fire apparatus industry and emergency service community through the manufacture and sale of safe, efficient fire apparatus and equipment.